After a meal you spend a little extra money on and a little extra time preparing like my last post, it’s nice to follow up with an easy dessert. In my continuous search for quick and easy recipes, I have scanned site after site looking for tasty desserts. 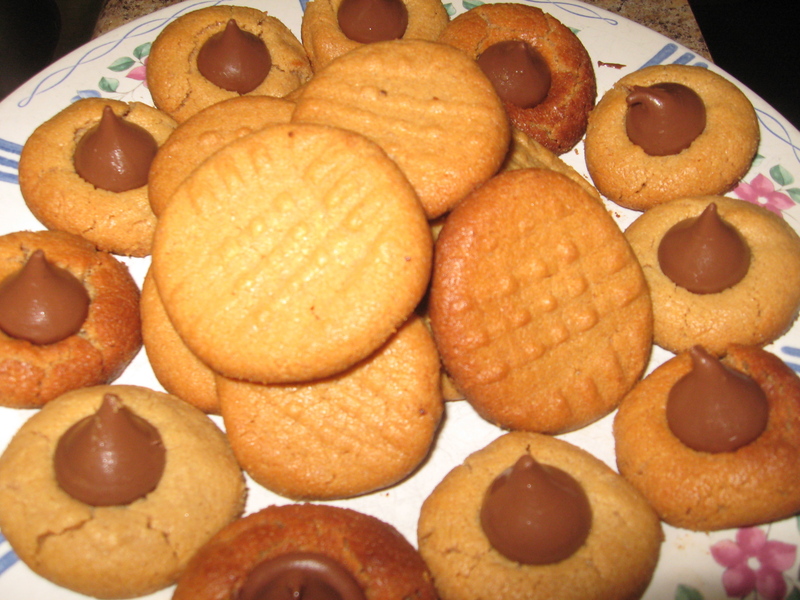 There are a LOT of cookie recipes out there, so wading through them is not always a simple task. My professor recently suggested I check out CopyKat.com, a site developed by Stephanie Manley, that replicates great recipes from restaurants that you may otherwise not attempt at home. 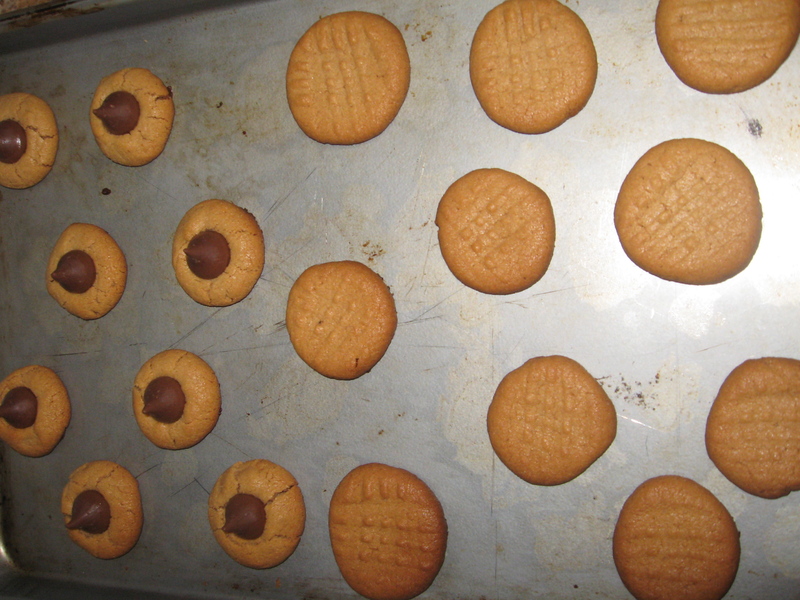 It’s a fantastic site, and it’s where I stumbled upon this easy peanut butter cookie recipe. There are only three (yes you read correctly, three!) ingredients involved, and the execution is just as painless. One of my roommates is a sucker for anything peanut butter, so she was a happy girl when she came home late from the library the other night to these. Even better, they took me about 15 minutes, and I already had everything I needed to make them (no budget cooking trumps all). In a large bowl, add all three ingredients and stir thoroughly. If you have an electric mixer definitely use it. 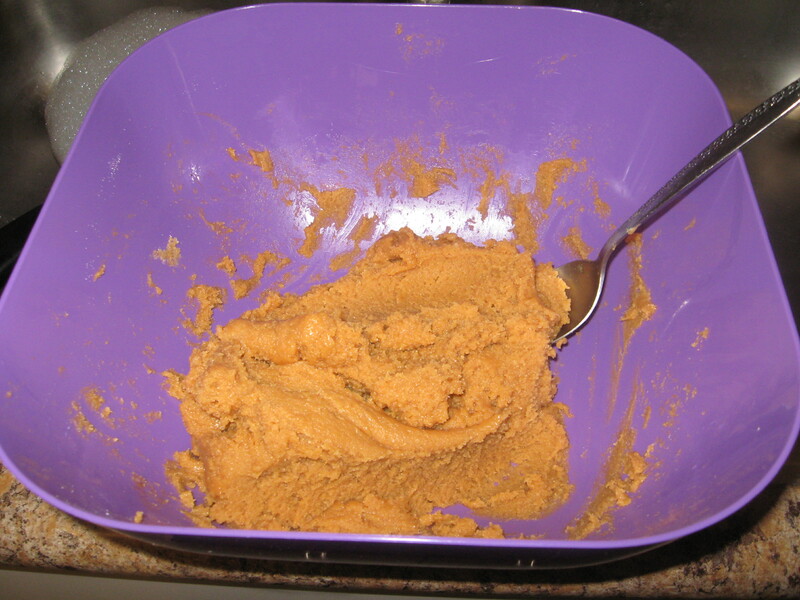 If not, a large spoon will work, you’ll just have to work extra hard to stir the peanut butter and sugar together (make sure they’re actually mixed, and that the peanut butter isn’t just coated with sugar). 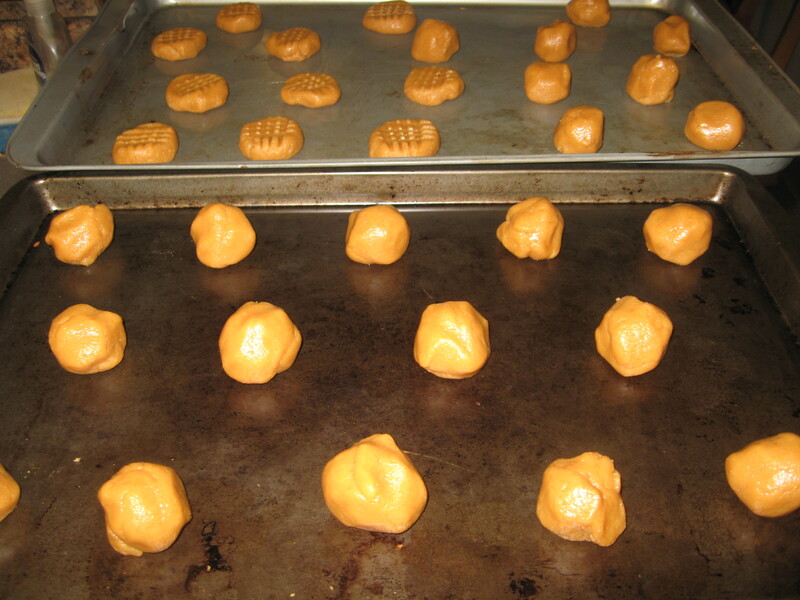 Roll the mixture into one-inch smooth balls and place on an ungreased cookie sheet. 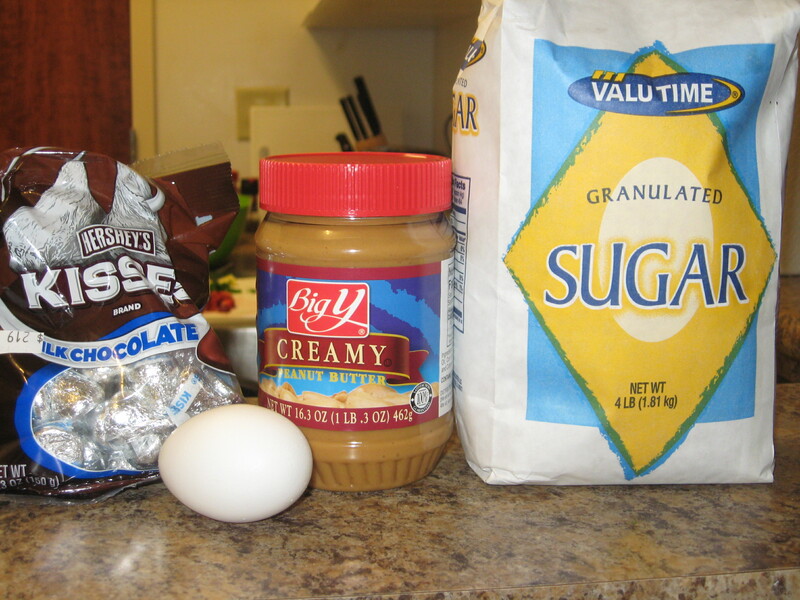 If you’d like, make half of the mixture plain peanut butter and the other half with hershey kisses. 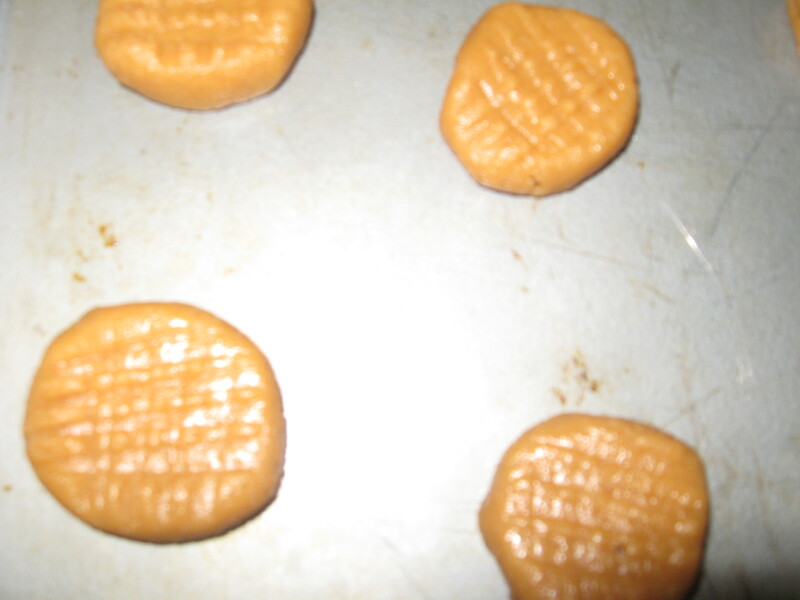 Here’s the only tricky part: for the just plain peanut butter cookies, take a fork and gently smash the ball in, overlapping the fork marks so you make a number (#) sign on the cookie. See the picture for a visual. For the cookies you want a hershey kiss on, leave them as is and you’re going to put the kiss on when they come out of the oven. Put cookies in the oven for about 10-12 minutes, or until they’re lightly golden (They’ll harden after they come out, don’t worry if they don’t look quite done just as they come out). 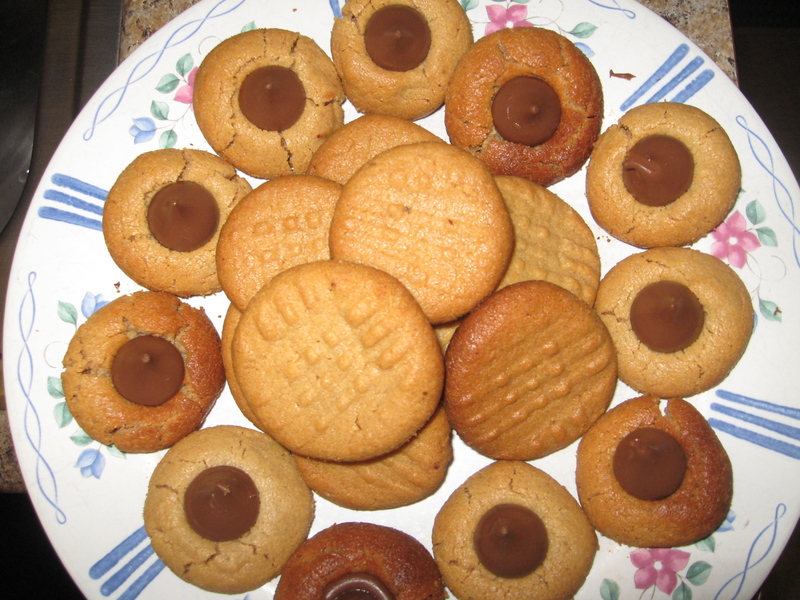 When they come out, lightly place hershey kisses in the center of the cookies you want them on (see picture). Don’t press down too hard, otherwise you’ll break the cookie. Let all the cookies cool before serving (or eating). A little forewarning: these go QUICK. Grab some before they’re gone!